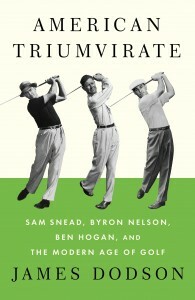 In this celebration of three legendary champions on the centennial of their births in 1912, American Triumvirate by James Dodson explains the circumstances that made each of these players so singularly brilliant and how they, in turn, saved not only the professional tour but modern golf itself, thus making possible the subsequent popularity of players from Arnold Palmer to Tiger Woods. During the Depression – after the exploits of Walter Hagen and Gene Sarazen and Bobby Jones (winning the Grand Slam as an amateur in 1930) had faded in the public’s imagination – golf’s popularity fell year after year, and as a spectator sport it was on the verge of extinction. This was the unhappy prospect facing two dirt-poor boys from Texas and another from Virginia who had dedicated themselves to the game yet could look forward only to eking out a subsistence living along with millions of other Americans. 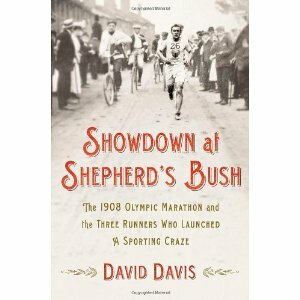 But then lightning struck, and from the late thirties into the fifties these three men were so thoroughly dominant – each setting a host of records – that they transformed both how the game was played and how society regarded it.